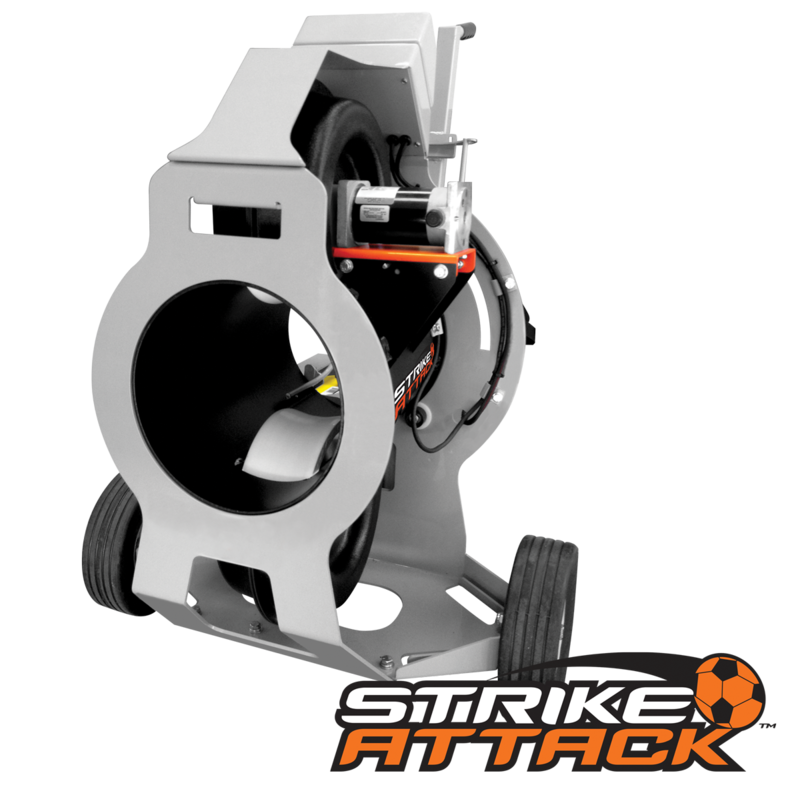 Why Buy A Strike Attack Soccer Machine? 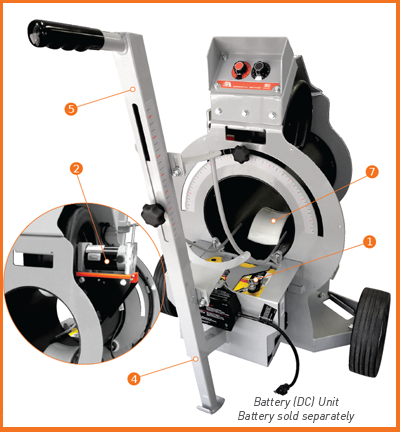 Battery powered machine provides reliable service on any soccer field or playing surface. AC unit also available. On the battery unit, the 12v deep-cycle, long-life battery* resides in a rubber padded battery box that protects it from impact and vibration. AC unit also available. Two electronically controlled variable speed DC motors provide independent control of wheel speed, enabling ball delivery with any degree of spin at any speed.Two controlled variable speed motors provide independent control of wheel speed, enabling ball delivery with any degree of spin at any speed. Six bearings smoothly provide a full 180° rotation of throwing head for a 360° variable spin plane. Telescoping Rear leg allows coach to change elevation instantly or lock-in position for repetition. Rear handle assembly allows the coach to play the ball to any location across the length or width of the field. Ball feed chute provides for the smooth, consistent entrance of the ball into the throwing head. 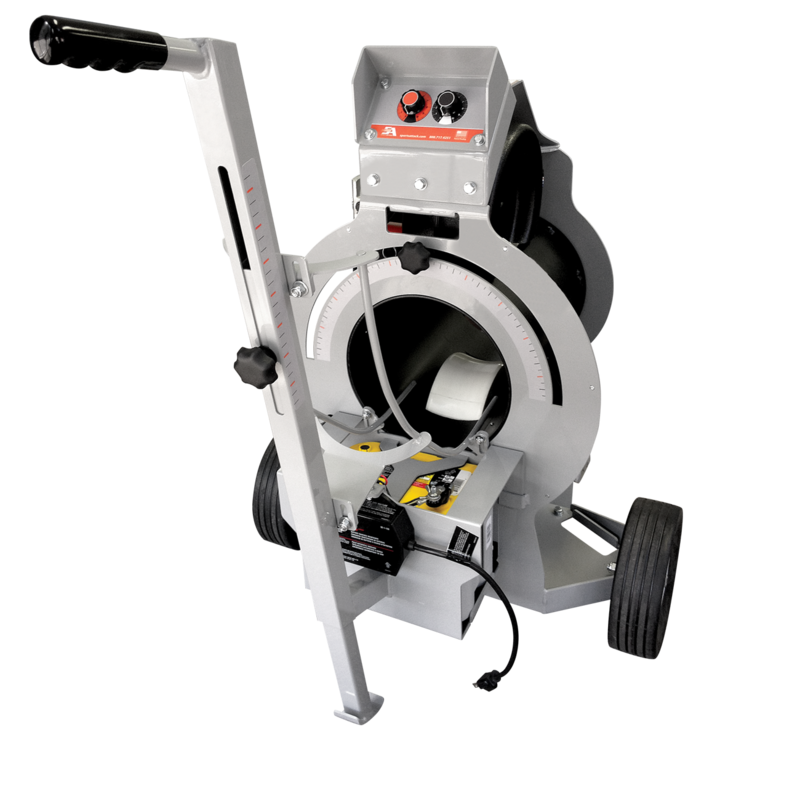 Concaved, precision-balanced white wheel maximizes griping surface while minimizing slippage and ball or machine wear. Wheel guards protect players and coaches. Both AC or DC units provide continual use for extended practice sessions. The Strike Attack is sold exclusively by Kwik Goal in North America. You can contact them via phone at 800-531-4252 or on go to their website. For all other international inquires, please contact Sports Attack directly at: kurtb@sportsattack.com or call our office at 775-345-2882.